Desirable Treetops! Best location in the complex, enjoy townhouse living at its best, from the nature trails outside your door to the indoor pool, hot tub, sauna, gym & clubhouse. Located minutes to school s, Newport Village, Rocky Point & transit, this private end unit corners on the forest. A huge patio is off kitchen that accesses the side yard, fabulous floor plan has 3 spacious bedrooms & laundry up. 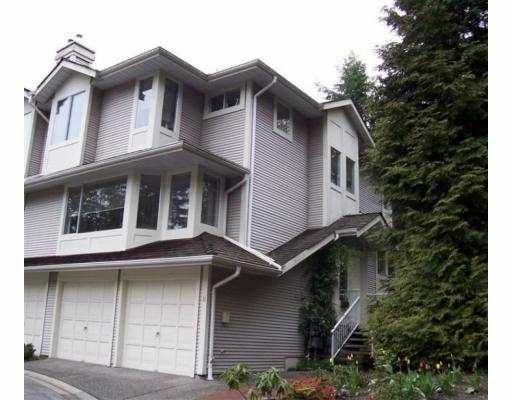 Th e master boasts a big window with view, walk-in closet, ensuite with double shower & view into forest. Large bright living room has gas fireplace. Open kitchen has newer counters, stove, dishwasher & tile backsplash. Newer laminate floor in kitchen & powder room, tile floor in main bathroom, lighting, paint, the list goes on. 2 car garage & lots of storage in the unfinished basement with a roughed-in bathro om, ready for your ideas, act fast this true find won't last.